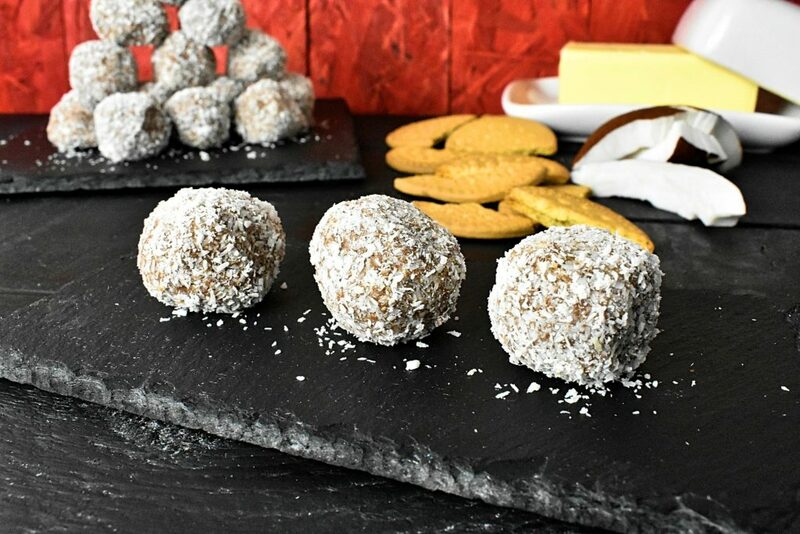 We can have these coconut bites in our fridge anytime we feel like nibbling on something. 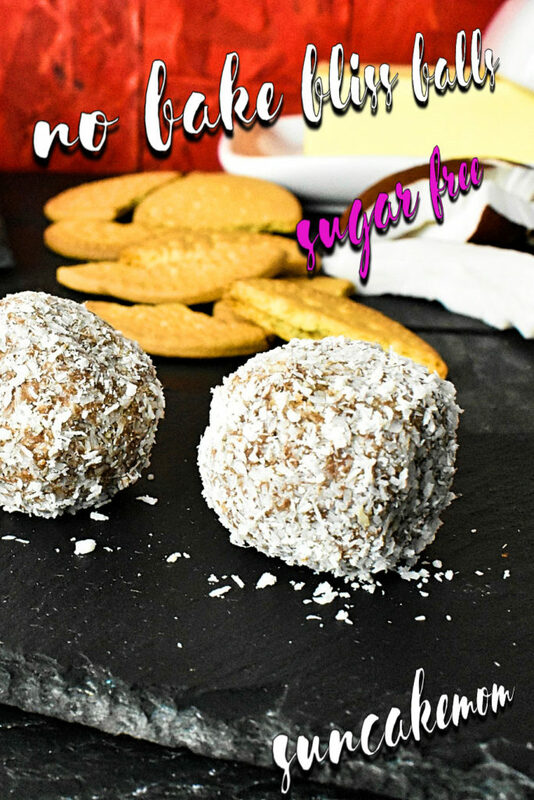 It’s a sugar free recipe so we may nibble on two at the time just to make up the carbs. 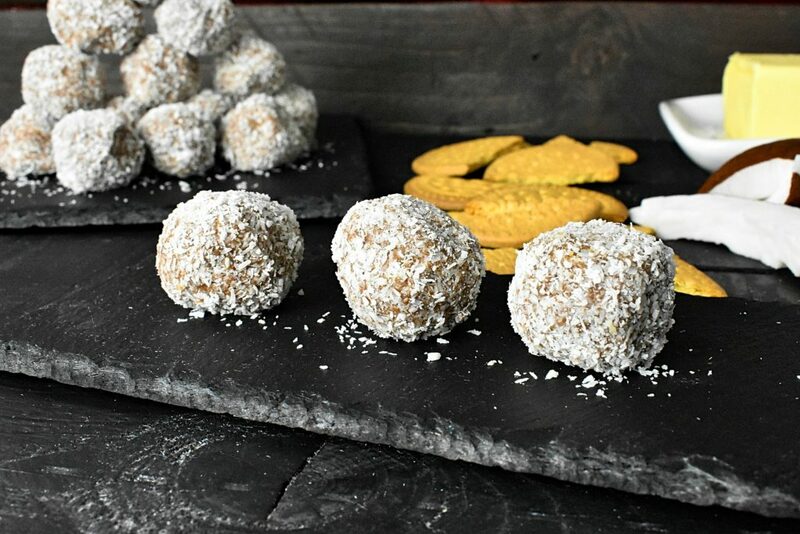 It’s perfect for Summertime, when we don’t want to turn the oven on, these healthy coconut balls are the easiest snack to get the job done. These balls are perfect for leftover or failed cake recycling. In case we have some messed up sponge cake or something that isn’t as spongy as we would like then we can use those instead of the biscuits as a base. 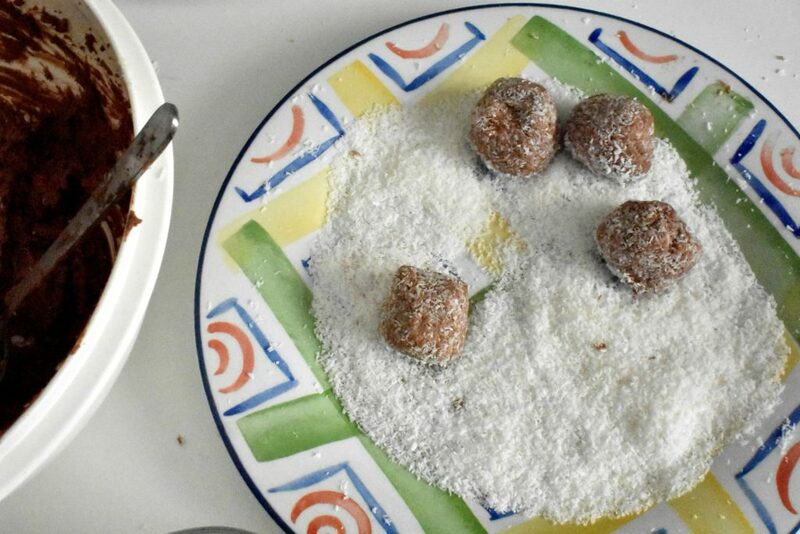 Put biscuits into a mixing bowl and crush them. Soften butter so we will be able to work with it easier. If butter is hard we can’t mix it well with the crushed biscuits. 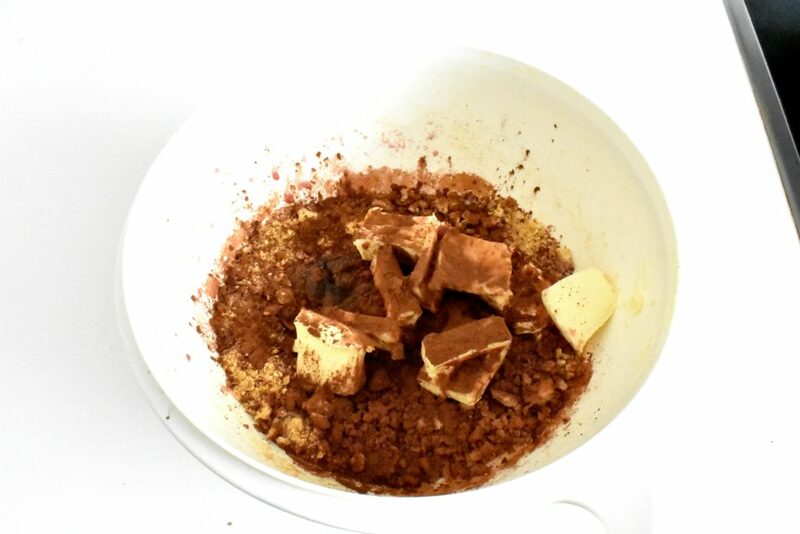 Add softened butter, cocoa powder, black cherry jam, cherries and berry juice into the bowl too. 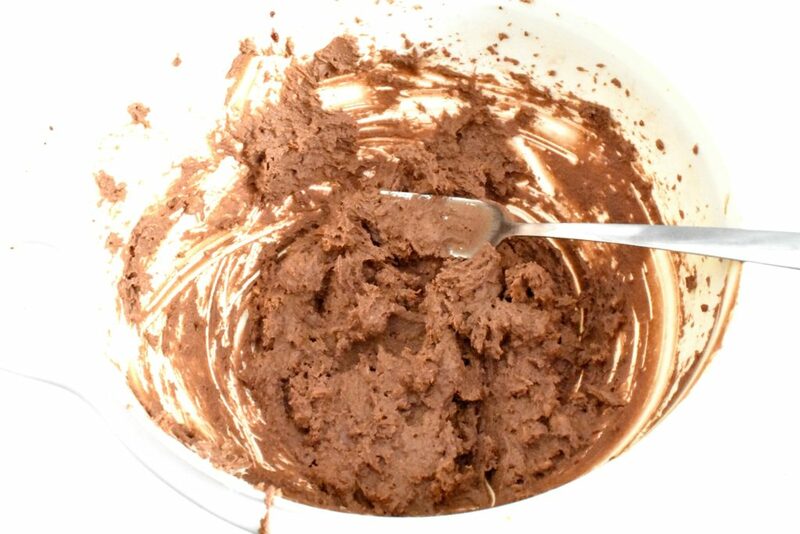 Mix and dough it until there is a smooth, even dollop. Get a little amount of the mixture and form walnut size balls out of it. Roll it into the coconut flakes. Make sure the whole ball is covered. Pop them in the fridge for half an hour. Add softened butter, cocoa powder, black cherry jam, cherries and berry juice into the bowl too. Mix and dough it until we get a smooth, even dollop. 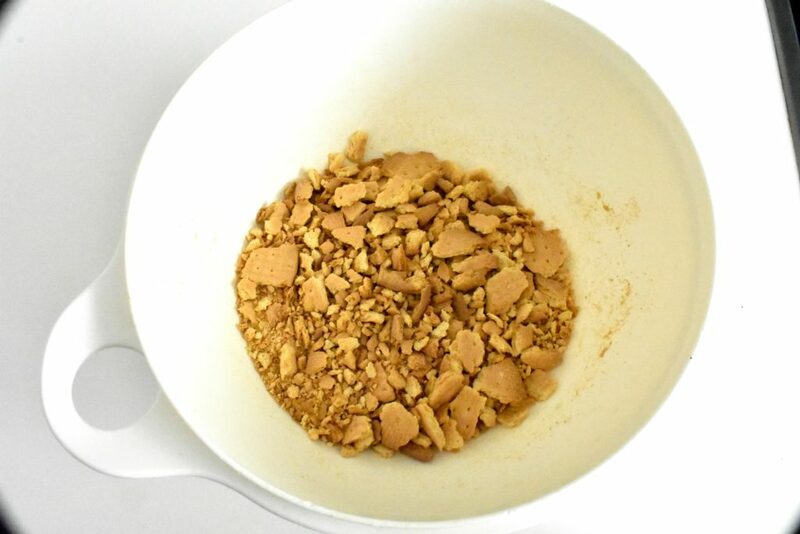 Get a little amount of the mixture (walnut size) and form balls out of it. 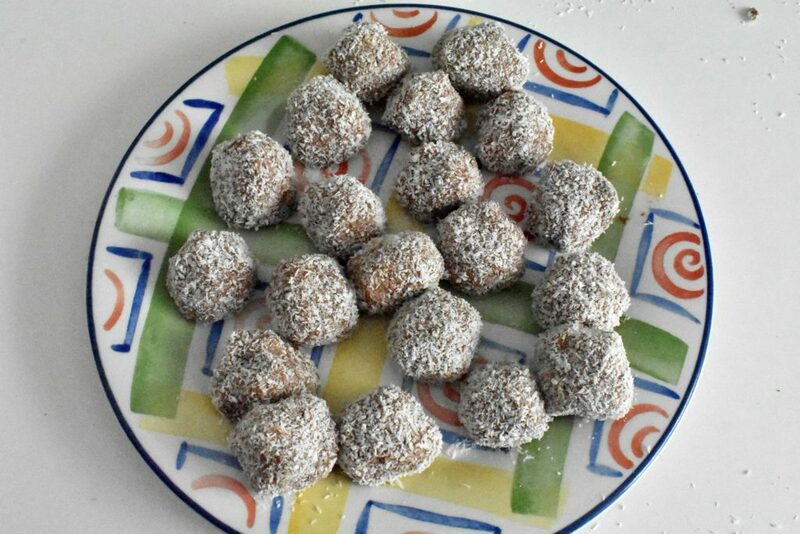 Summertime, when no one wants to turn the oven on; coconut balls are excellent alternative of teatime snack. This was an absolute party saver!